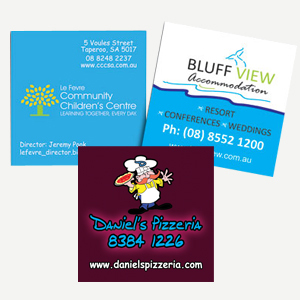 Full Colour FRIDGE MAGNETS is an effective way of emphasizing an advertising message within your local area. 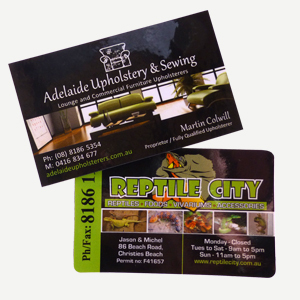 Using the 90 x 55mm as a magnetic business card or the 99 x 210mm as a personalized magnetic calendar using your own logo & marketing message. Now available in a new size of 45 x 45mm, square corners. 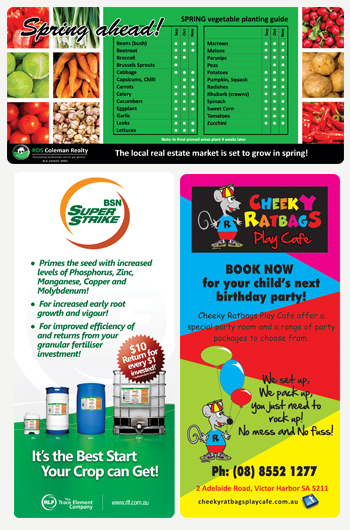 Please use the Quote Request Form for a quotation request or alternately call us on (08) 8326 4735.